This list is divided into three categories: sour beer with both yeast and bacteria; those that contain Brettanomyces, but not bacteria; and those that contain bacteria, but not Brettanomyces. It is by no means comprehensive, but it should include at least a few bottles that almost everyone can find at a local store that specializes in good beer. There are a number of sour beers out there that are pasteurized or filtered after fermentation is complete, so be careful of those not listed. Examples of beers that do not contain viable dregs include many Belgian Flemish reds (e.g., Rodenbach), sweetened fruit lambics (e.g., Lindemans, Liefmans), and American sour beers from some larger breweries (e.g., New Belgium). If you are unsure about whether a beer contains viable microbes, contact the brewer to ask. In most cases breweries are consistent, with either all or none of their bottled beers containing viable dregs. • Maine Brewing Co. – Thank You Allan! • Mikkeller – It’s Alright!, It’s Alive!, USAlive!, Yeast Series: Brettanomyces, Yeast Series Brettanomyces Lambicus Pale Ale, Yeast Series Brettanomyces Bruxellensis Pale Ale, AK Alive! • Listermann Brewing Co. – Quaff Bros Sour Grapes! great list, Mike! thanks for putting this together. proposed additions: Crooked Stave Hop Savant, Evolution Fall Migration 2012 (you already list 2011). did i read that all Crooked Stave beers have lacto in them these days? maybe it was even from you? if so, shouldn't all their beers be in the brett+bugs category? Not sure on Crooked Stave, I'd be surprised if they had all switched to having Lacto. However, Jester King has switched, "all of our fermentations now incorporate a variety of yeasts and lactic acid bacteria." I find it odd to think that Ommegang Zuur is Brett-only. It's definitely lacto sour. The only way I could see this is if it gets pasteurized first, then bottled with Brett. That would seem like an odd strategy to me. Pour decissions (which is hard to come by now), which is now Bent brewstillery. They have some brett's in their berliners ("kofi" is really good). You would have to check with Kris on the strains. THey have put brett in a few other beers to. I know St. Whateshername for sure. I think perhaps the Logsdon Farmhouse beers are backwards in categories. The far west Fleming is their take on a kriek and has lacto and pedio. I happened to arrive when he was blending this year's far west and it was lacto and pedio heavy, where peche n Brett and seizon Bretta are the same beer but one with peaches. When I visited dave lgdson told me seizion Bretta had about 4 strains of unique Brett added with a farmhouse strain. I removed Zuur. I emailed Ommegang about it and never heard back. I really enjoyed the bottle of the Pour Decisions gose (salinity) I tried last summer. Added a couple. I don't see any Cantillon listed. I was saving my last bottle of Cantillon Lambic to pitch the dregs in a sour batch. Are there viable bugs in Cantillon? Shaun Hill recently told me that they started bottling with a wine or champagne yeast...not sure when, but at least this year's E. and Arthur do not have pure cultures of HF microflora. It's just listed under the full name of the brewery "Brasserie Cantillon Brouwerij." Many of the beers on the list contain bottling yeast. As long as they aren't filtered or pasteurized the dregs can be used. I have read that Petrus does not include dregs that are suitable for homebrewers to use, although I can't remember why. Maybe it is filtered? Yeah so just following up, it appears Petrus does not have usable dregs. Which is too bad, because it has such a nice sourness. Thanks! I added a new section at the bottom for sour beers confirmed to lack viable non-Saccharomyces organisms. Loving the book. Thanks for all of your hard work. Although I'm sure lots of it had to be quite enjoyable. How can you tell if a beer has viable dregs for re-pitching? I bought a couple bottles (Perennial Regalia & Boulevard Love Child No. 4) and they have dregs, but how would I know if they can be re-pitched in secondary and make an impact? Knowing that a brewery's other sour beers contain viable dregs certainly suggests that a new release will as well. However, the only way to be sure is to contact the brewery and ask (if you do, report back here)! Thanks for contacting us, Eric, and thank you for your interest in Love Child #4. Since Love Child #4 is not pasteurized, you could potentially harvest lactobacillus and brettanomyces from the dregs. However, you will also be getting champagne yeast that we use for bottle conditioning. Please let me know if you have any additional questions or concerns and have a great day. So is there any problem with the champagne yeast in the mixture? Bottling yeast is no problem at all. Many of the beers on this list contain a bottling strain of one type or another. I've never had an issue stemming from it. Most wine strains are ill-adapted for life in a souring beer, they are incapable of fermenting any of the complex carbohydrates that remain (which is one of many reasons they are perfect for bottle conditioning). They could cause problems if you make a starter with the dregs, which is a good reason to pitch them directly into the beer. Firestone Walker's Barrelworks bottled releases are not filtered, they are just blended, cold crashed and packaged with bottling yeast. there is Brett and Lacto in all of the releases so far. Has Firestone Walker released any sour bottles in addition to Feral One and Bretta Rosé? I need to make it up there next time I visit San Diego! I live in Québec, Canada, and one of the only Flanders Red we can easily find is the Duchesse De Bourgogne. This post mentions that this beer is filtered. Could that beer still be used to brew myself a Flanders Red? As I mention in the post, apparently there are still some live microbes in Duchesse, so culturing is possible. You'd have to be extra careful with your process to avoid introducing additional/unwanted microbes. I would probably leave an inch of beer in the bottle and dose with an equal volume of sterile wort. Put an airlock on the bottle and let it get started before stepping it up. If you are able to get a starter culture going, evaluate it before pitching into a beer. Bacteria tends to be smaller than yeast, so you likely won't get a representative mix of microbes. Red Swingline, IPA Primitif. A wild and sour session IPA. Brewed with three heavily fruity hops, coriander, and tangerine zest the profile is definitely American in focus. Aged in French Oak Chardonnay barrels with souring Lactobacillus, funky Brettanomyces yeast, and dry-hopped in each individual barrel. This beer is a definite wow moment. 4.1% ABV; pH 3.6; 100 IBUs; rare. So there is supposed to be bacteria not just Brett. I asked their brewer Jason Yester about Red Swingline, but never got a firm answer. Their original descibtion left it unclear to me if they were pasteurizing after souring: "uses a unique double fermentation (warm with Lactobacillus delbrueckii in the kettle then cool with a special Bretta)." The new description certainly makes it sound like there is Lacto in the barrels as well. I'll move it for the time being, thanks! Jester King Provenance has brett and bugs and bottle condition w/ a extra does of Brett Drie. No wine or champagne yeast added per Garrett. I've got a very beginner question about bottle dregs. As a general rule how many bottle dregs (37,5 or 75cl) i've got to use in a 19 liters batch for a typical mixed fermentation? And in case i would use the dregs in a 2-head combo with the brewer's yeast (no wild culture from Wyeast/White Labs i mean) how many bottle to use in that case? I'd never pitch dregs directly from a bottle without a known/active culture of brewer's yeast. If you want to make a beer with nothing but dregs, I'd suggest making a starter with them (although that is not without its own set of issues). My standard practice is to pitch a normal pitch of brewer's yeast, plus a commercial souring blend, plus the dregs from two to three bottles of sour beer. That is probably overkill, but the results are good! Mike, First thanks for sharing so much via this site, truly a huge resource. I've been trying to find more info on Alvinne's Morpheus yeast / blend. Everything I've found online indicates it's Sacc + lacto. Where did you get your info on it containing Brett? Your list is the only resource that indicates Alvinne uses Brett. I sent the applicable portion of the list (including Alvinne) to the importer B. United for confirmation. They confirmed what I had and added a few more. Certainly could be wrong though. Have you tried contacting the brewery directly? Mike - I sent a note to Marc De Keukeleire and he (very) quickly replied that Morpheus is just 2 strains of Sacc + Lacto, and they use a commercial strain at bottling. Do you know if the Crooked Stave beers that are 100% Brett fermented are bottle conditioned with another yeast strain (e.g. wine or champagne)? Not sure on the process at Crooked Stave or Westbrook. Do you happen to know if the Southampton Uberliner was conditioned with bottling yeast? I was thinking of growing a starter with the remains of my last bottle. Cheers! I assume Uberliner was unpasteurized, however it's unlikely the Lacto is alive after more than three years in the bottle. Te primary strain is likely not in great shape either. Maybe add the dregs along with fresh L. brevis and US-05? Anyone know if the new Victory Sour Monkey has viable dregs? Looks to have lacto and brett in it but not sure if they condition with champagne yeast. Plenty of beers are bottled with Champagne/wine yeast, doesn't necessarily mean that the bugs aren't viable. I don't have any specific info on Victory Sour Monkey though. Given that Helios no longer has viable dregs, I wouldn't be too optimistic. Thanks, so if its conditioned with a killer champagne or wine yeast, that yeast doesnt kill off the brett, lacto, pedio like it can do with sacch? Exactly, the bugs aren't "susceptible" to the kill factor like most brewer's yeast. Mike I've been confused about the bottling yeast issue since reading your book and also listening to podcasts describing use of wine yeasts. I'd love to see a full explanation of why or when to be concerned about bottle dregs potentially containing these strains. Some of the concerns relate to Brad's question above...killer strains...would I want sacc killers populating a barrel project? Also maybe doesn't matter but is that fruity ester coming from brett or wine yeast? How to know? Wine yeast won't thrive in a fermented beer because most lack the enzymes necessary to ferment complex sugars. No real worries about them taking over a barrel for example, but I wouldn't make a starter with dregs including a killer strain and pitch that in primary with brewer's yeast. I'd add Squareroot 225 Saison to this list from BFM as well. I built up the dregs and pitched them into a brown wort that was left over from a competition I was in at a local brewery here in Stafford, VA (Adventure). Not even two months in there was really thick pellicle and the flavor was already amazing. I probably need to pitch Brett to finish it, but the stuff is definitely solid. Glad to hear, I've got a bottle of Sour Monkey waiting for me downstairs! Hi Mike, love the book and the talk at HNC! I have a bottle of Saison Dupont Farmhouse Ale that says it is bottle conditioned, but I don't see it listed. Am I just missing it? There are a few opinions to the contrary, but as far as I'm aware Saison Dupont is 100% Saccharomyces. This page only address those bottles with "other" microbes. Finally found the info on Saison Dupont. They centrifuge and filter it, add liquid sugar if needed to bring the gravity up and pitch a new strain of yeast for bottle conditioning. So the dregs are most likely Sacc, as you thought! There isn't anything about adding Champagne yeast that should stop you from reusing the dregs for a sour beer. Many breweries (like Russian River) add a wine strain for bottle conditioning. As long as they aren't sterile filtering, or pasteurizing the beer there are still viable dregs in there. That said, I wouldn't grow them up and use them for primary fermentation! Do you happen to know of any of the Brett beers on this list that exclusively contain Brett C? Not off the top of my head. In general, I'd suggest buying a culture if you want a pure strain. Thanks so much for your original post on this. I used this method to sour a gallon of raspberry wheat (that might have also had some local wild yeast from the raspberries), with amazing results. I put a gallon of a farmhouse ale (WLP670 with some Brett) on top of the now much larger yeast cake and plan to keep it there for a few months. I'm starting to think about keeping this blend around as my house yeast (for secondary or tertiary fermentations) and stepping it up to five gallons, but that leads me to wonder if I should be washing the yeast/bacteria at some point to clean it up. Will the Brett eat through anything dead and undesirable, or is washing necessary to keep my house blend happy? If I wash it, is the typical method safe in terms of retaining all of the good bugs? so, you are saying that La Follie has no bacteria. Not anymore. New Belgium pasteurizes their sour beers. Exactly, there is plenty of bacteria involved in the fermentation, but all their sours go through a flash pasteurizer on the way to bottling to keep everything sanitary for the clean beers. A real shame as far as I'm concerned. I heard from Jay Goodwin on an episode of the sour hour that The Rare Barrel now bottle conditions using wine yeast. The bugs are still there , but the primary strain if building a starter would be a wine yeast. My understanding is that those beers are spontaneously fermented, so I've got no idea what microbes are actually in there. Likely a mix of wild yeast and bacteria! Re: Rare Barrel, same case for many American sours (another good reason to just pitch them directly with a healthy pitch of brewer's yeast, rather than making a starter). Still really digging Sour Hour, I need to listen to the second episode of De Garde! How about uinta birthday suit? I have a bottle of the 22nd crooked line sour plum. Thanks. No idea, shoot the brewery an email and report back! I emailed Uinta with the same question. They said drink ASAP its kettle soured no bugs. I hope one day Breweries will list this important tidbit on the bottle. Wicked Weed released a brett conditioned DIPA called Lusus Naturae. I have built up a starter of the dregs and get some nice funk character to it. Not overpowering. I have emailed them twice to see about getting an idea about what I'm working with. All I can find is that it's the house brett strain. Any ideas? Thanks for all you do! Finally broke into sour beers thanks to you, MTF and sour hour. Sounds like its a house Brett strain... (but there could be a Sacch in there as well), best to try it out and see how it does for you! I wou;dn't worry too much about the original source. Yep! All of the Modern Times sours are unpasteurized. Hello Mike! I just got my hands on a bunch of bottles of Jester King's Le Petit Prince. Any idea what bugs are in these? I believe almost all Jester King beers now have a combination of wild yeast and bacteria. The brewer's website is always a good place to start, and in this case they say "Farmhouse Yeast, Native Yeast and Souring Bacteria from the Texas Hill Country." Smuttlabs - Daily Brett pretty sure has Brett Drie in it. I've used the dreggs to annoculate one of my wheat ales. Definitely a thick layer of brett present on top. Sorry to bring up such an old thread. I recently drank a bottle of Aged Pale and there was definitely a hefty layer of dregs in the bottle. I started them up in a 1.040 wort with some yeast nutrient and let it run on the stir plate for a few days. I put it in the fridge to let everything drop out and tested the resulting beer. It had a pH below 4 and an attenuation of around 75%. I've started a Golden Sour with the dregs and will be testing once it's finished to see how the dregs worked on a full beer. It's been fermenting for over a week now at 68 degrees F.
I emailed Bavik and received the same response as everyone else, but they also asked me for my lot number on the bottle. I sent that back to them but haven't received a reply. Finally got a little testing in. The AA is 81% and the beer has gone sick, so there's definitely some bacteria in the dregs of Petrus Aged Pale. The brewery never responded to my last email when I gave them the lot number. I emailed them again to let them know what I had found from their bottle, but haven't heard anything back yet. Not sure if it was a bottling error or what, but this sour smells awesome. Boom Island has a few beers that may belong on this list. In particular, Kriek, Oude Funk and Triple Brett. Do you know if Strange Times for Modern Fellows (MT and Strange Fellows collab) has live dregs? I have a couple bottles, and I live up in Prince Rupert, Canada, where the sour beer selection is pitiful at best. I've had to brew my own for years (your book/blog has been a great guide), and was wondering if I could culture the dregs from that one to add to my bug collection. Worth a try, but I hadn't heard about the beer until just now. Few small breweries are pasteurizing or sterile filter, but many have bottling strains (no problems if you are pitching with or after a Sacch culture). If you want to know for sure, contact the brewery. Good luck! I have a bottle of Allagash Sixteen Counties, and woul dlove to use the dregs for a secondary brett fermentation. Anyone know if these are live brett dregs? I would think it would have to be, but I can't find any information on this release (maybe due to its limited nature). How about Free Will brewery out of Perkasie, PA? They have a lot of sours. Had a few bottles Free Will, unpasteurized I believe, but not sure if any are quick sours vs. mixed fermentation. I've give up maintaining this list given the hundreds of new sours coming out each month. I'd suggest contacting the brewery. Pretty much all of Holy Mountain's (Seattle) farmhouse or sour beers have some smattering of live bacteria/yeast in them. I know most are bottled with Brett (couldn't tell you which strain). Their clean beers are bottle conditioned are well. 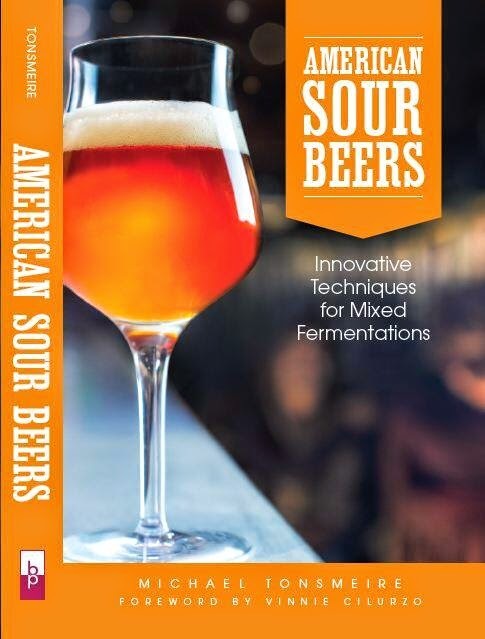 Hey Mike - I'm currently planning my first true (non-kettle) sour, and would love to throw a few questions at you that are perhaps too specific (or are, I suppose, more taste- or opinion-specific) for what's covered on the blog or in your book. First, how do you determine which bottle dregs you want to use for a beer? I've been building up a small line-up based on this list (Red Poppy, Weyerbacher Riserva, Boon Oude Mariage Parfaite, Cascade Kriek, Jester King/Local Option Feral Dampf, Bruery Terreux Gypsy Tart [side note: is there viable bacteria in Gypsy Tart? Not included on your list, but I can't fathom why it wouldn't...]) and am trying to decide which dregs would be worth pitching, individually or severally. My gut tells me to try dregs coming from semi-similar backgrounds (Cascade, Weyerbacher, Red Poppy in that they are all in the red fruit vein), but that's based on nothing concrete. Second (and related to first), is there a limit to how many dregs ought to be pitched together? I see that most blogs/forums advocate for greatest possible biodiversity, but I also don't want to waste dregs if they're not likely to contribute any appreciable character. Third, will IBUs in dregs affect the performance of other bugs? Feral Dampf contains wild yeast and bacteria, but also clocks in at 40-ish IBUs, so my concern is that this might hinder Lacto strains from other dregs. Not necessarily a bad thing, but perhaps also not worth wasting Cascade dregs on the same beer. Thanks for the time you put into this blog - I've only been brewing for about a year and I can honestly say this site has been my guiding light. Yep, no reason that I know of that Gypsy Tart wouldn't have live microbes. Bruery does have a flash pasteurizer, but it sounds like it is just for the clean barrel-aged stuff when needed. I'd pitch dregs from beers that have similar character to what you are trying to achieve. No reason to pitch more than a few bottles. I think too many microbes (like too many hop varieties or specialty malts) often leads to a muddled flavor rather than increased complexity of flavor. I like to pitch dregs from a few bottles of beer from the same brewery when possible. The IBUs in a few mL of dregs wouldn't have a significant contribution to the overall bitterness of the wort. Even 12 oz of 40 IBU beer in 5 gallons would only add 1 IBU. If it helps anyone out, I wanted to let you know that Urban Family Brewing doesn't pasteurize. I e-mailed them about Flooded Heart and was told that it does have active cultures, though they condition with champagne yeast so that's probably the majority of what's in there. Mike, I just finished your book. Thank you so much! One thing that would be very helpful to me in this list is a "DO NOT USE" category that has beers/breweries who use wine yeast to bottle condition that is considered "killer" yeast. I'm scared to death that I'll pitch dregs from one of those into an established house culture. I use dregs from beers conditioned with wine yeast frequently without issue. Not a great idea to propagate them and pitch together with your primary yeast, but otherwise they shouldn't cause an issue. The toxin they produce is only harmful to Saccharomyces, so Brett, Lacto, and Pedio are all fine. Hi Mike, Digging into your book and loving it. thanks for your massive contribution to homebrewing. I've got several "experiments" going in 1-3gal fermenters, with a variety of mixed cultures. One (3-gal) has TYB Beersel Blend along with their Lacto Blend (no Pedio). I pitched them into a 1.013 wort (~3ibu) at 74F in secondary 1-month ago, and there is still airlock activity (Im guessing the Brett?? ), but the pellicle looks like its starting to fall. I'd like to build this culture up, but primarily interested in the Beersel Blend. If I make a starter culture and hop the wort up to about 40 IBU (using something like brewersfriend calc), would that kill off the lacto or just suppress it for that wort? Would I need to continue to feed with similarly hopped wort to keep the Lacto down? Would that only serve to make the Lacto hop tolerant? I don't really mind the lacto in there, just dont want to have a predominance of Lacto...would like the culture to be mostly Beersel Blend if possible. Thoughts on how to proceed?? A big jump in IBUs like that should be enough to severely hamper the Lacto, but I'm not sure it would kill it completely. You may want to reculture a few times at the higher IBUs. You also may be growing the primary ale yeast. I'm surprised the Brett would be finished after a month as well with a 1.013 beer. Consistent gravity readings are a better indication than the pellicle. Learning loads from the book - thanks! I've brewed a kettle soured gose that i think i got too excited to keg and ended up with what i think is acetaldehyde in the keg. I have bottle dregs of some almanac, if i was to pitch these, would it make it any better, or am i better off turfing the batch? If it is likely to get better, how long do you reckon it might take? If more than a month or so (which i suspect is the case), I'd probably need to put back into a fermenter. If it is acetaldehyde, Brett should convert it to ethanol as it works. I'd guess a month at least. Dregs going into an already sour/alcoholic beer will take time to grow and work. A starter of Brett would be quicker, but still a month would be optimistic.